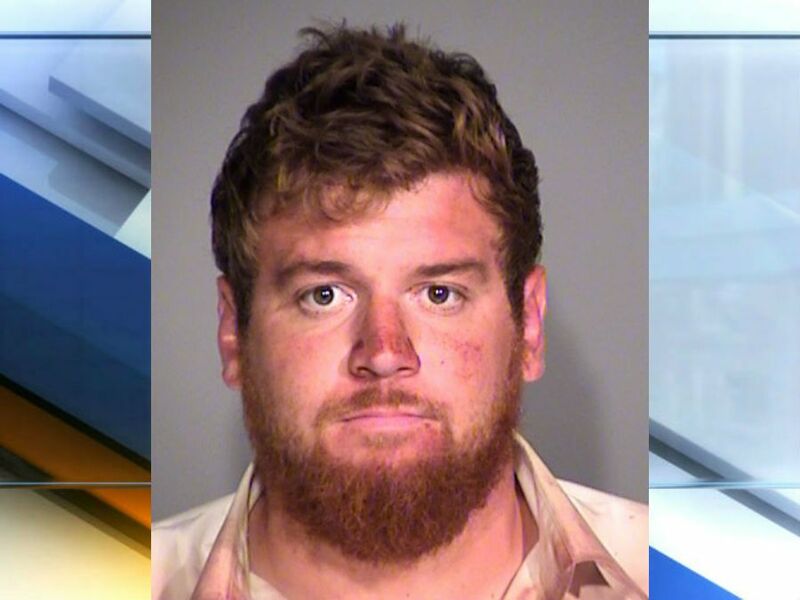 INDIANAPOLIS -- When Carleigh Hager's live-in boyfriend finally stopped beating her, police say she was covered in blood, her face was fractured and her scalp was cut open down to the skull. Her injuries were detailed in a probable cause affidavit filed Tuesday against her boyfriend, 26-year-old Ryan Cameron. He faces felony charges of aggravated battery and strangulation for the alleged attack. Witnesses told police the argument began at a wedding and turned violent once the couple returned home. Hager told police she attempted to distance herself from Cameron by going into the back bedroom of the home. But, she said, he followed her and began strangling her. She said three of their friends then pulled Cameron off of her. Hager said she then locked herself in the bathroom – however, she says, Cameron returned and knocked the door open. Then he began beating her repeatedly and attempted to pull her tongue out of her mouth. When police arrived, they found large amounts of blood in the bedroom and the floor and walls of the bathroom. Officers believe Hager attempted to escape through the bathroom window, which they also found covered in blood. Doctors detailed a litany of injuries to Hager, including multiple bite marks on her chest, back, arms and face and a laceration of her forehead that exposed the skull. Her tongue appeared to have been partially ripped, and part of one ear had been bitten off. Hager's family has created a GoFundMe page to help offset the costs of the medical and therapy bills she faces. As of Wednesday afternoon, the page had already raised more than $10,000. A Marion County, Indiana judge issued a no-contact order Wednesday between Cameron and Hager. Gingers have no souls. Amiright? Gingers are the devil bobby! Drugs are bad for some people, they make you act odd, ya know like beating your woman half to death. Maybe some gingers have no souls, but I know of some that do. For example, my dad, a ginger, appeared at my house several times not long after he died. It was obviously not his zombified corpse showing up, so it must've been his soul. Ginger Souls:1, Ginger Haters 0. You really saw his ghost or wha?? I was reading about this crazy kunt in the paper yesterday !! !